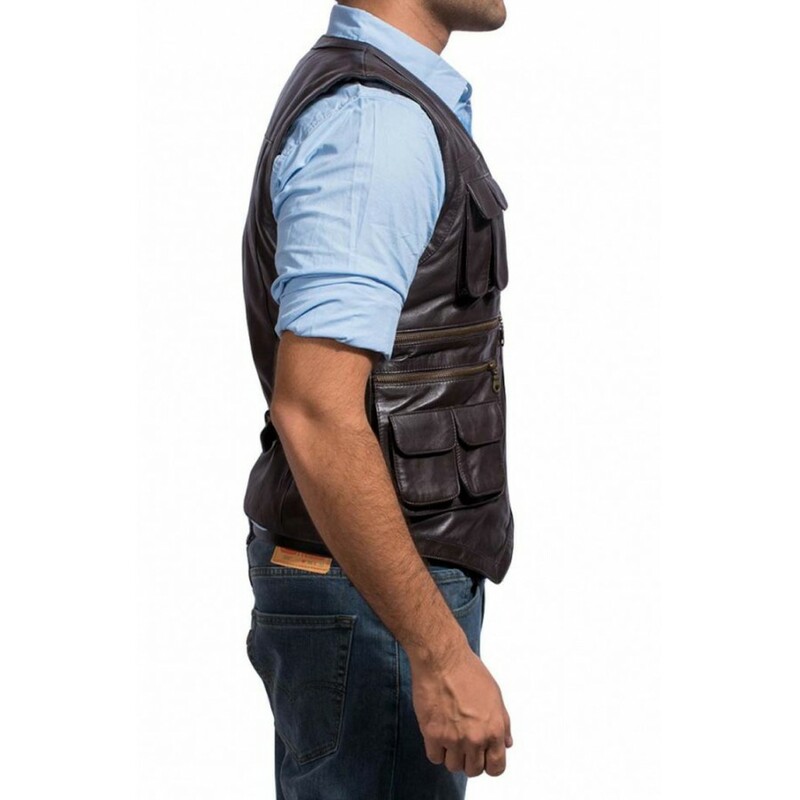 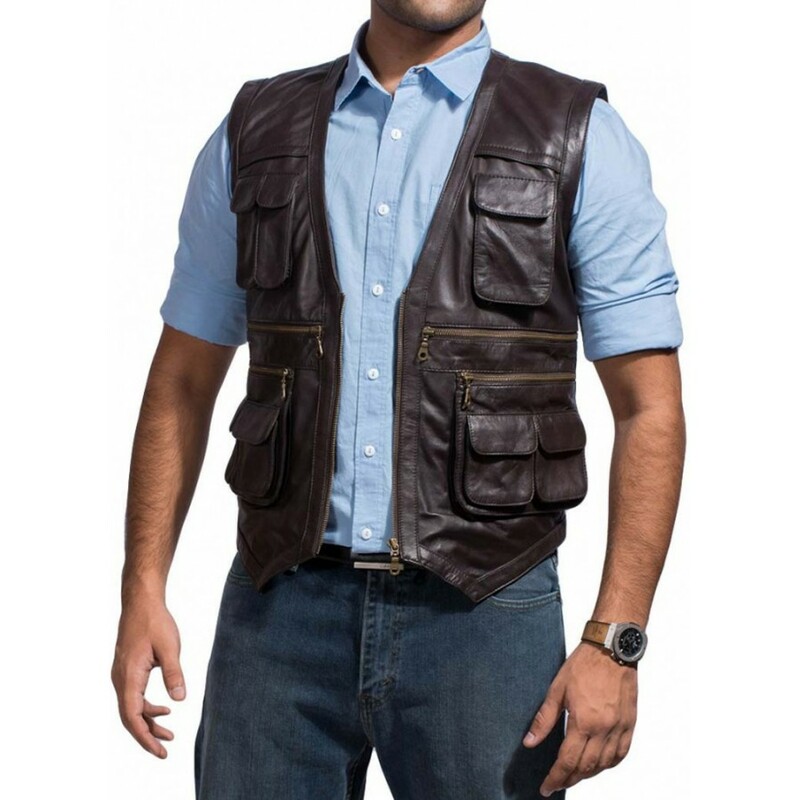 Jurassic World Owen Grady Vest is really something really wonderful and will assist in bringing the best out of you. 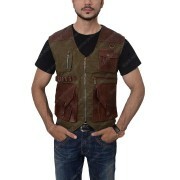 Chris Pratt Vest is an attractively crafted apparel available in genuine leather with inner viscose lining. 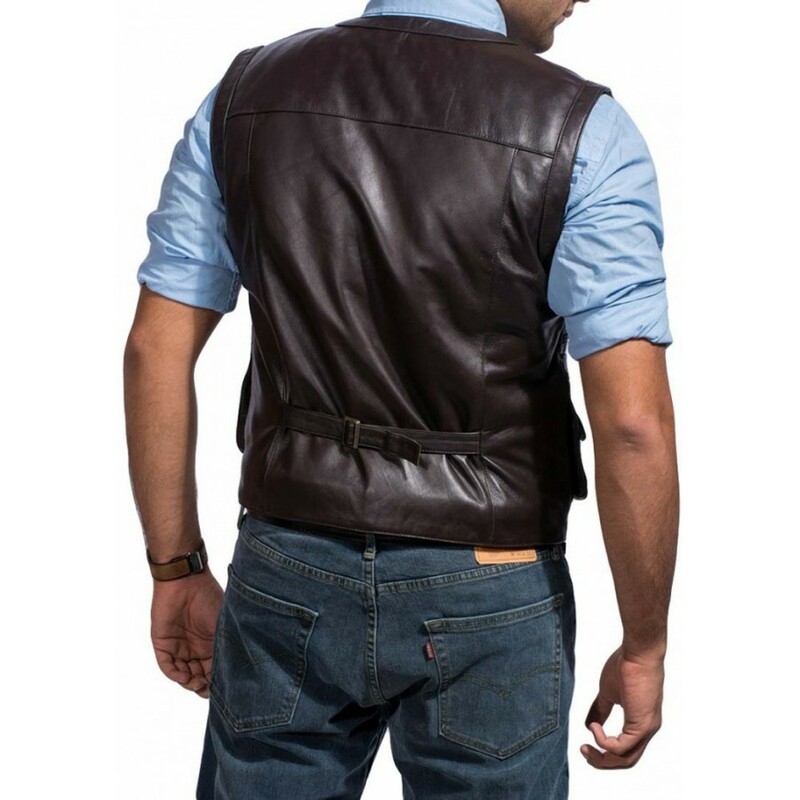 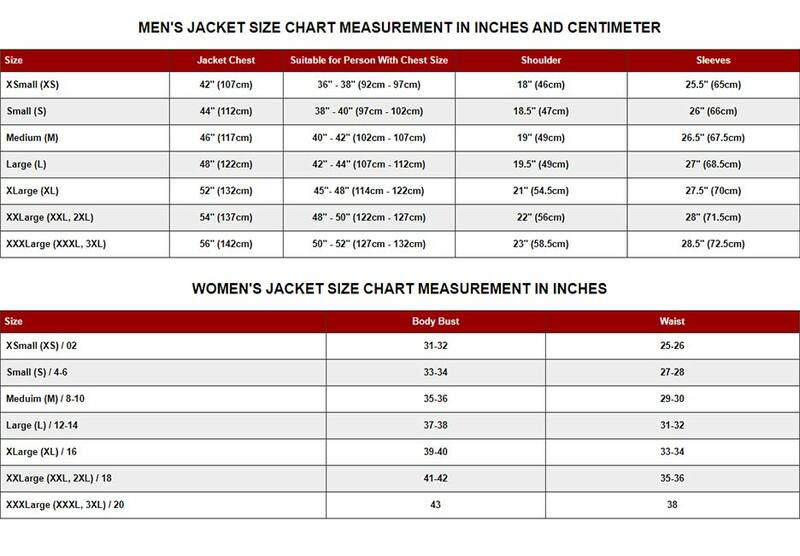 Specifications includes Chocolate Brown in color, collar less with v shaped neckline, front zipper closure and adjustable waist belt. 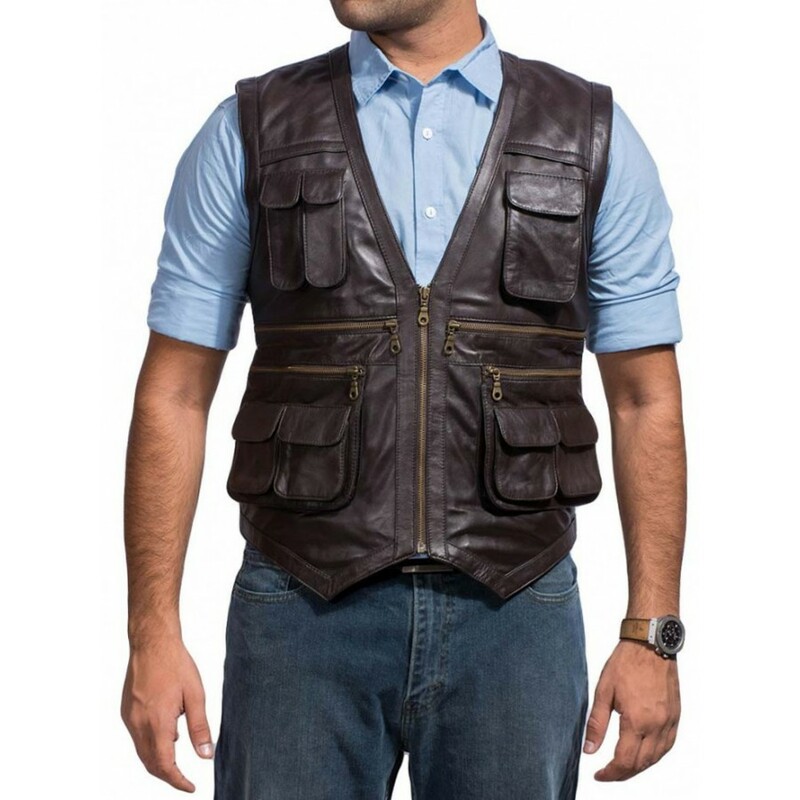 The Bomber and Zipper Pockets completes the overall appearance of Jurassic World Leather Vest, also intended to keep the belongings safe. 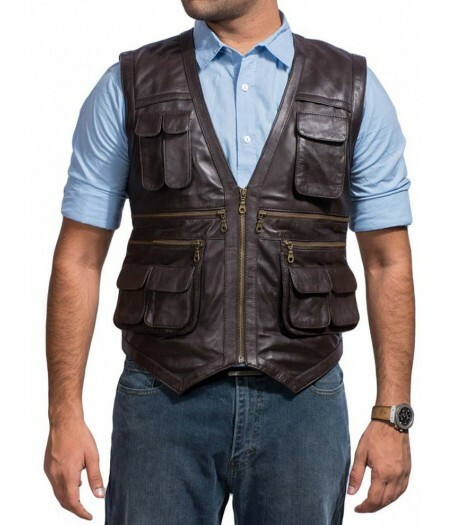 The Jurassic World Vest is available at an amazing cost for all the Chris Pratt fans.